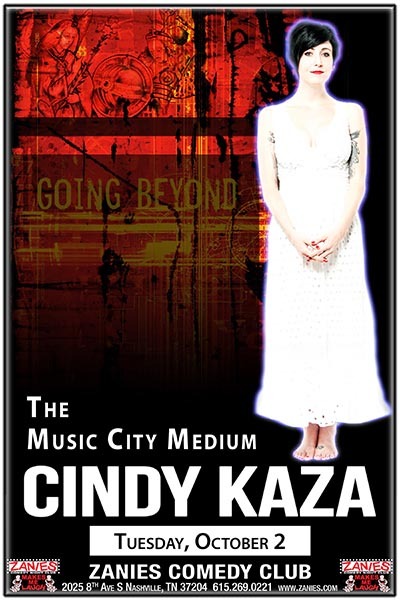 Cindy Kaza is an evidential medium. Evidential mediumship is a style of mediumship practiced around the world that puts heavy weight on the medium’s ability to bring through the extremely specific evidence to the sitter. This evidence can include, but is certainly not limited to, names, personality traits, physical ailments, favorite past times, and phrases often used by loved ones in spirit. The purpose of this style of mediumship is to diminish skepticism among sitters and to prove that the medium is truly connecting with the client’s loved ones in spirit. Cindy has been extremely intuitve since very early childhood. At the age of 10 she had her first memorable experience with a spirit. Days after losing a childhood friend in a fatal car accident, Cindy woke up in the middle of the night to see her friend standing next to her bed. Cindy woke up in the middle of the night to see her friend standing next to her bed. At the time, she dismissed this experience and convinced herself it was just a dream. It wasn’t until her early 20’s that she realized she was having psychic and mediumistic experiences all along. During this “awakening” she began searching for answers and reasons for her experiences and became aware of her multi-faceted abilities as a psychic medium. She began training not only in the United States but also at the Arthur Findlay School of Intuitive Sciences in Stansted, England. She believes in compassionately sharing her gift.